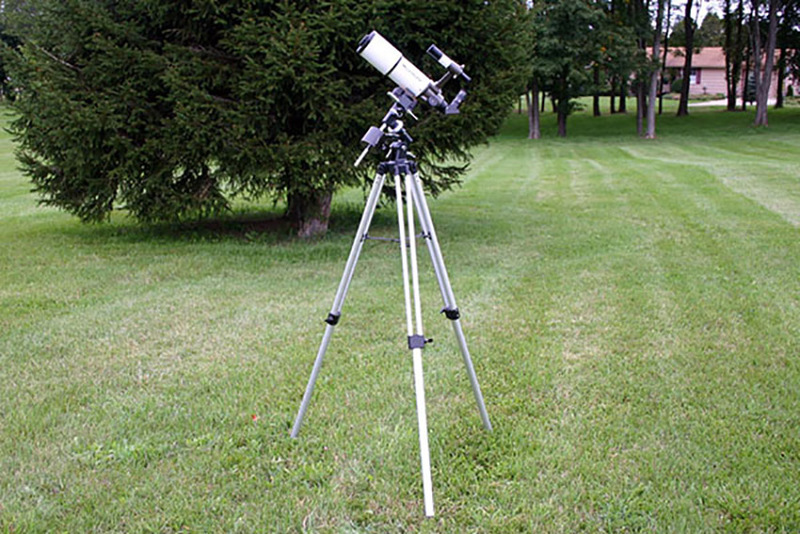 Members are invited to borrow from the Society's small collection of telescopes. If you are contemplating buying a telescope of your own, and would like to find out which one you should buy, first think of borrowing from the KAS for a test run. Telescopes are loaned out on a first come, first served basis. Telescopes are loaned for a one month period. However, a member can continue to use it after the one month period if no other requests are made. At the end of the loan period, the person borrowing the telescope agrees to return it to the KAS at a normally scheduled general meeting. To borrow a telescope, download and fill out its check-out form. Then contact the KAS Equipment Manager (details below) with as much advance notice as possible. The telescopes are usually in constant circulation, so arrangements will need to be made to have the telescope at the next general meeting. A current membership card is required. Please make sure all the items listed on the check-out form are present and in working order. You are responsible for any damaged or missing equipment upon the telescopes return. Any misuse may impact future use of KAS telescopes and equipment. 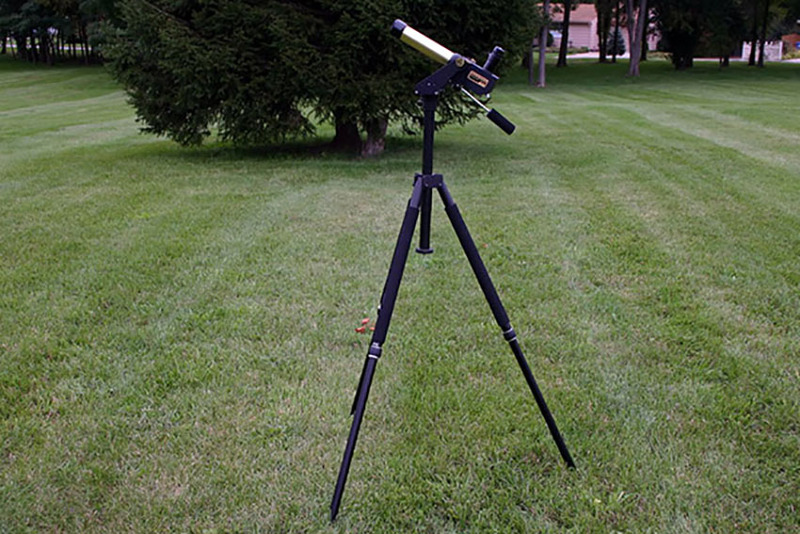 Orion's highly popular 80 mm refractor is the ultimate grab-and-go telescope. It'll fit into any car and setup takes minutes. You'll love its bright, wide-field views of star clusters and nebulae. The EQ-1 German equatorial mount allows smooth manual tracking with the slow-motion cables. You're missing a lot if you've only viewed the Sun with a standard white light filter. The Coronado PST houses a special filter called an etalon, which only transmits hydrogen alpha light. This allows you to view prominences erupting off the Sun's edge, surface granularity, and snaking filaments in addition to sunspots and bright, irregularly shaped plages. A clever Sun-finder window near the eyepiece provides a safe way to aim the telescope. This Celestron 8-inch Schmidt-Cassegrain has optics that will offer crisp, clear images yet is relatively light and highly portable. It comes with the very stable Vixen Super Polaris German Equatorial Mount. It can be setup in a matter of minutes and no tools are required. 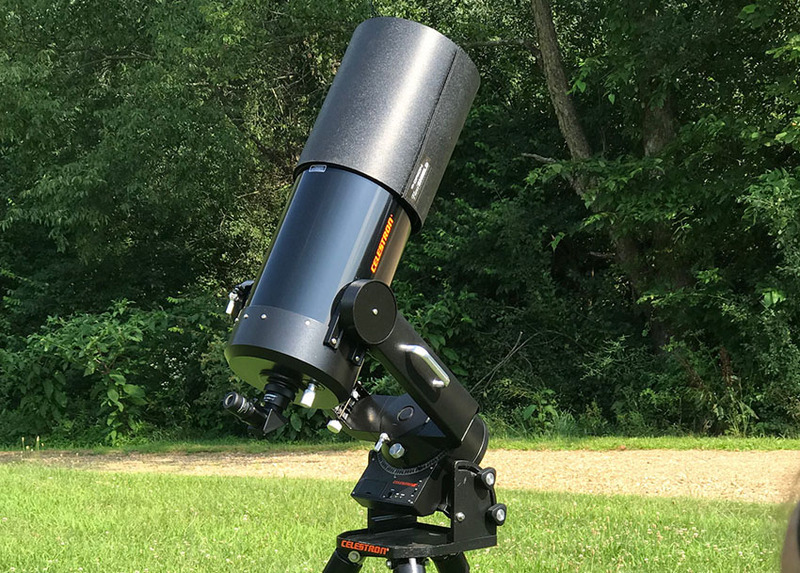 This is a serious amateur telescope that will provide dazzling views of the Moon and planets, and is capable of showing you thousands of deep sky objects. Special thanks to John & Karen Kerwin for their generous donation of this telescope. Please let us know if you'd like the KAS to add any other telescopes to its collection.